I have been working on a few things recently. 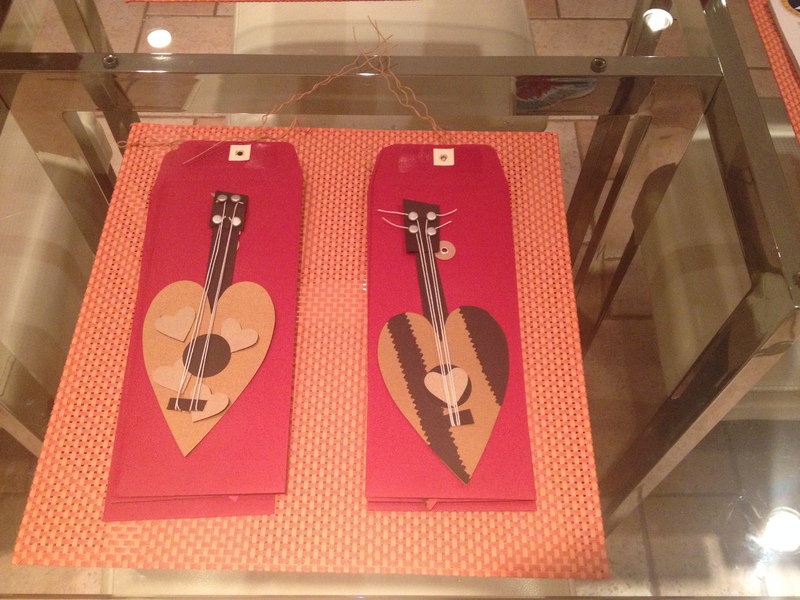 Patrick, Emily (his precious girlfriend) and I made guitar heart Valentines together. Emily gets special credit for figuring out how to make these so quickly! She had two done before Patrick and I even finished one. Mom gave me these Valentines after finding them on Paper Source a year or two ago. 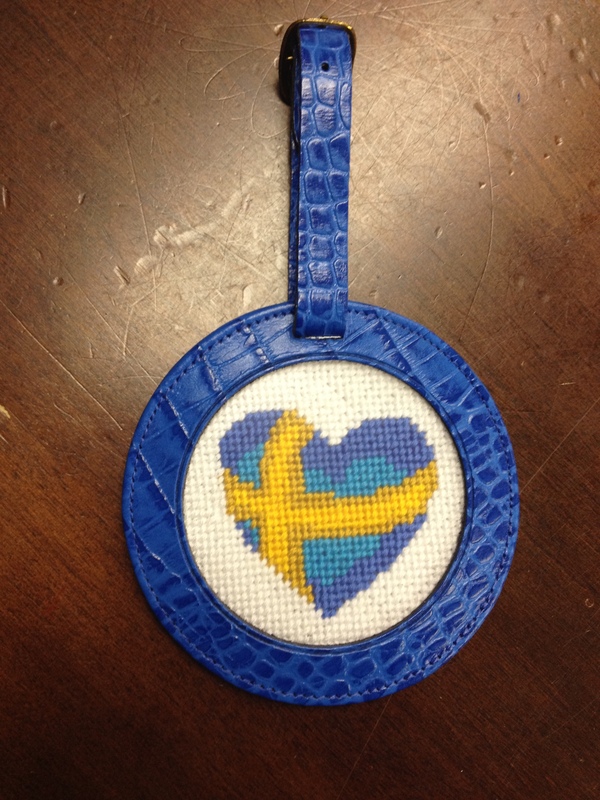 I also finished a little gift for my beau…a needlepoint luggage tag featuring the Swedish flag in a heart. I designed and painted it myself. 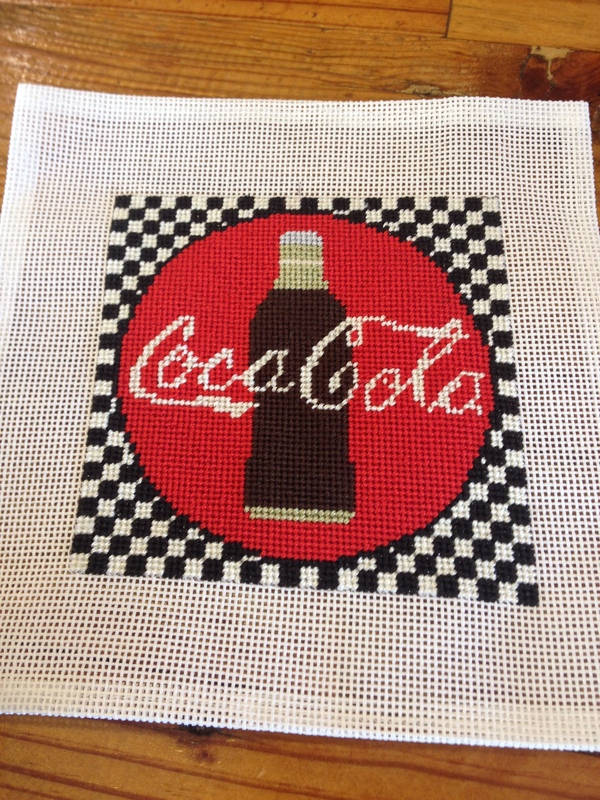 I’m really tickled to have figured out creating my own needlepoint designs. Might lead to some goodies on Etsy! 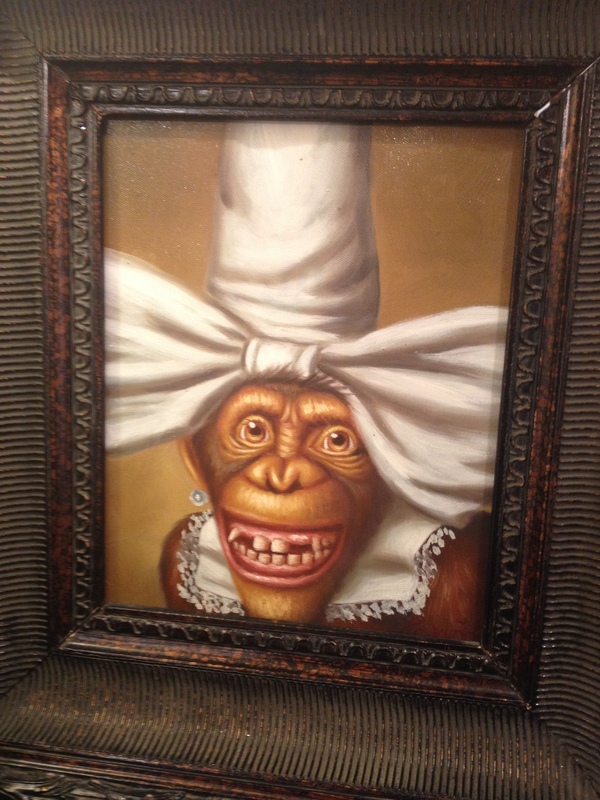 This is the horrifying pilgrim monkey painting that I received for Valentine’s Day. I’m using it to deter burglars. LOL! I laugh and cringe ever time I see it. This is my most recent Tula Pink project, featuring her Acacia line. I love the colors! So very vibrant! 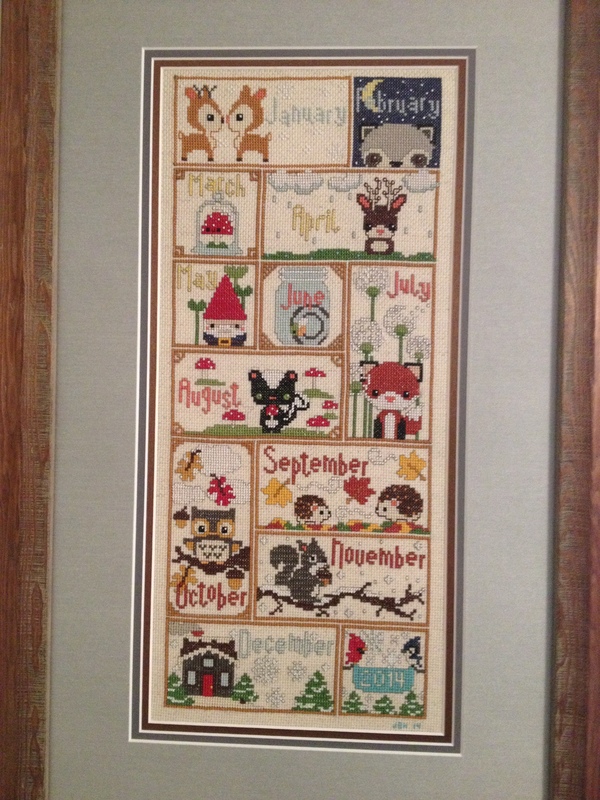 I’m taking it to Bella Bamert for expert custom quilting next month. 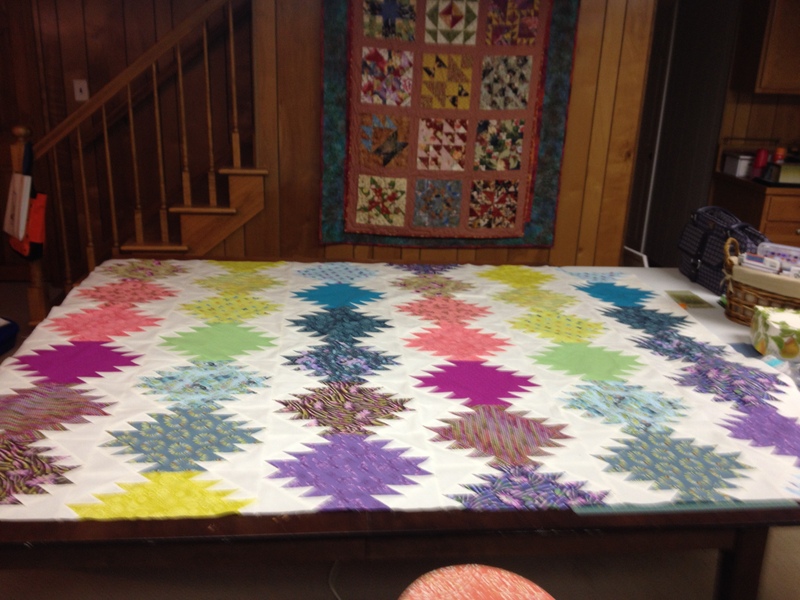 I can’t wait for the finished quilt! This quilt top took me about 6 months to piece. 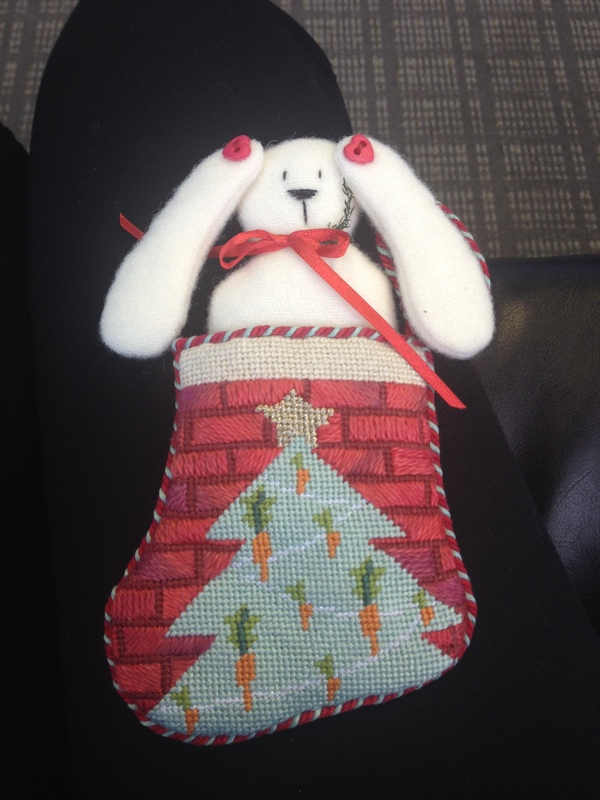 Nimble Needle just called me this morning to say the bunny was ready, so here it is! Ready for next Christmas! 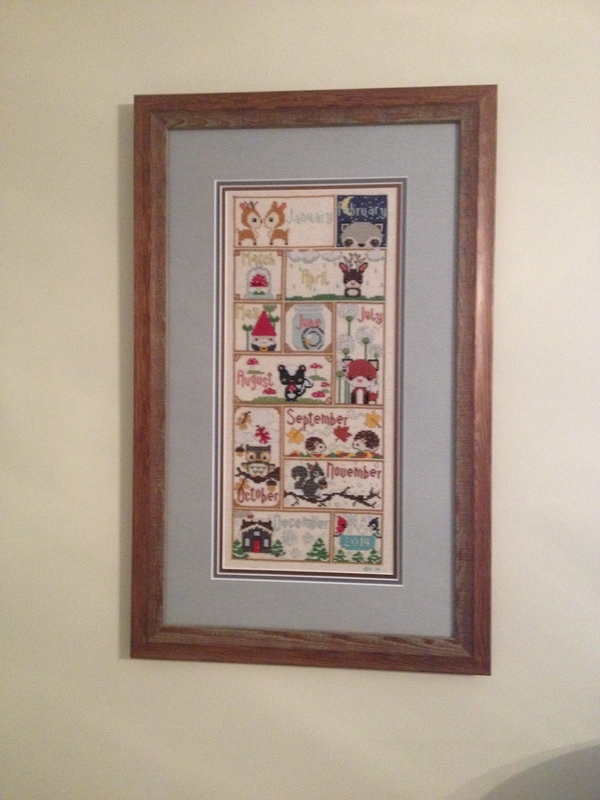 The final UFO I completed was the cross stitch sampler from the Painted Pumpkin folks. We took it to Michael’s for custom framing. 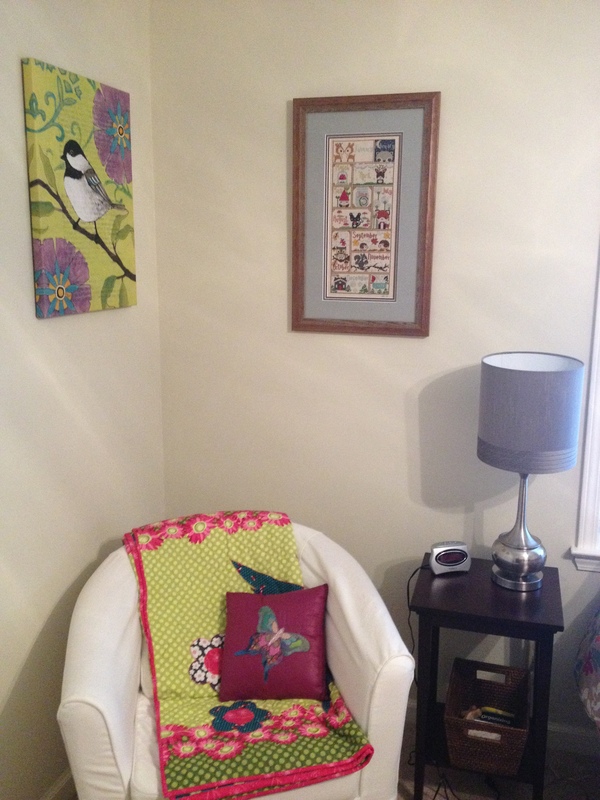 I love the way it looks in the guest bedroom! This entry was posted in art, coasters, DMC Thread, drawing, Embroidery, Etsy, Family, Gift ideas, holidays, Mom, Original Pattern, Ornaments, Painting, Patrick, Quilt, Quilt blocks, Quilting, sewing, Tula Pink, valentines day and tagged Acacia, coasters, embroidery, monkey, needlepoint, quilting, quilts, sewing, Sweden, Tula Pink, Valentines. Bookmark the permalink.